Lankas Labs will deliver your Pointing Labrador Puppy as long as you are within 400 miles, or we will meet you somewhere in Omaha, NE, Denver, CO, Wichita, KS or Manhattan, KS. We will also ship your new pointing lab from the Denver International Airport to your location. Fees for shipping your puppy vary on location and age of your new pointing Labrador. Flight costs for 8wk old puppies can range from $275-$325 and the crate we purchase for shipping is roughly $40. Lankas Labs also offers a flat shipping rate to fly your 8wk old Labrador puppy out for $400. This cost includes the gas for us to get your new puppy to the airport (about 235 miles one way). Older puppies ranging from 10wks to 5 months will cost a bit more as flight rate and crate sizes change. The flat rate offered by Lankas Labs for the older puppies is $500. If you are purchasing an older puppy or dog that is 6 months or older, the flat rate offered by Lankas Labs is $650. Health Certificates for all of our puppies are additional and will run you about $35. Prior to 1987, there were breeders who were unable to produce silver Pointing Labradors in their bloodline and as a result, started to protest. 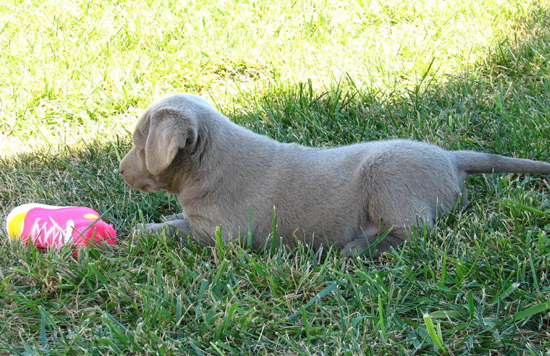 Because of this, silver Labs would begin to show on their AKC registration certificates and the color charts simply as “a shade of chocolate”. 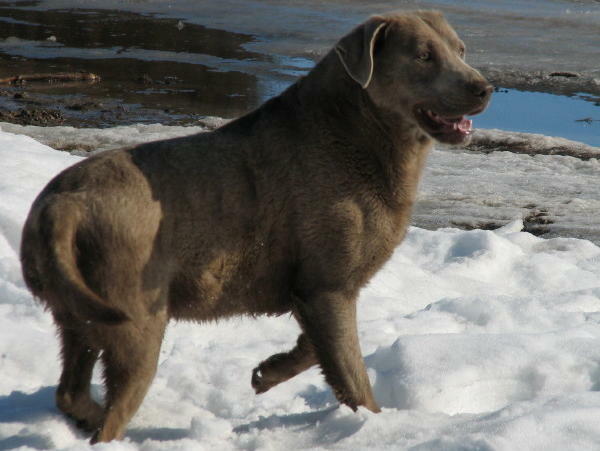 Nearing the end of the twentieth century, silver / gray labs increased in North America thanks to an incline of chocolate labs in the gene pool of Lab Retrievers, thus creating massive controversy within the community of Labrador Breeders. This slowly began to subside minus a few of the older more ignorant breeders, who are now be compared to those in the “flat earth society”. At Lankas Labs we are proud to offer silver Pointing Labs for Sale from Kansas. Lankas Labs is also proud to breed charcoal Pointing Labs. 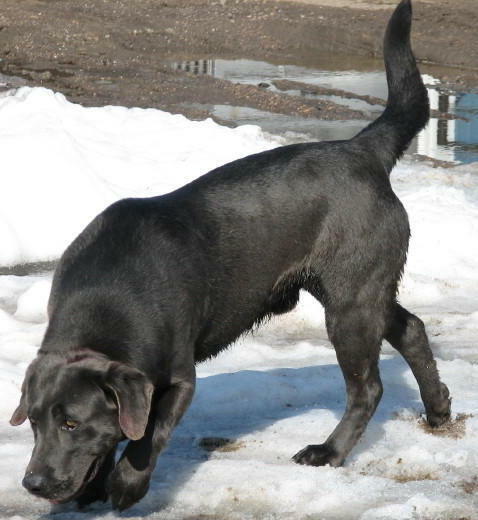 For decades, charcoal Labs were commonly referred to as “Smoky Blacks” by breeders. Charcoal Pointing Labradors are available for sale from our land here in Kansas. In the past, charcoal Labs either occurred randomly in Lab to Lab breeding or be intentionally bred by breeding a yellow and silver Lab. 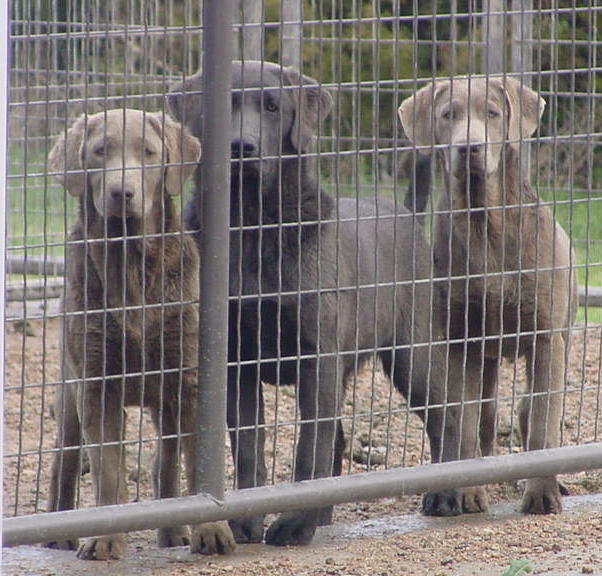 If breeders were to combine two charcoal labs, it is common for this to result in a little or ¼ silver labs and ¾ other colored labs. It seems as though breeding charcoal Pointing Labradors is more of a science these days than anything else! From smoky blacks to their simple name, these charcoal Pointing Labradors for sale get cuter by the decade. Contact Lankas Labs today for more information on the purchase of a new pointing Labrador puppy or additional details on delivery or shipping!